Do you want KEL-TEC to install your M*CARBO parts into your KEL-TEC Firearm? 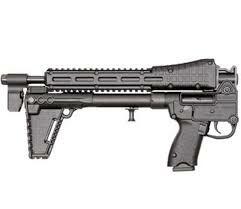 Superior KEL TEC SUB 2000 Accessories for Competition Level Performance by Combat Veterans. SUB-2000 Collar Adhesive - Loctite 380 "Black Max"
KEL TEC SUB-2000 Assembly Dowel - 3/8" x 8" Used to push the hammer back inside the SUB-2000 during re-assembly. The wooden Birch Dowel is nonabrasive. Highly recommended to avoid damaging internal parts and components. We had them custom manufactured just for this application. Made in the USA! 2.5mm Hex Keys for the carbon steel screw upgrade kit and carbon steel grip pin upgrade kit. Set of 2 Hex Keys. Best 22 round mag for the .40Cal KEL-TEC SUB-2000!Glock 22 Round Mag for .40CalGlock 22 Extended 22rd MagCompatible with Glock 22 and Glock 23Official Glock Brand MagazineBest Glock Mag Extension is a 22 Round Glock 22 Extended Mag!More Pew Pew with the Glock 22 Round Mag .40Cal! The 4-piece XTM Hand Stop Kit serves as a lightweight, low-profile rail mounted index point for improved weapon control, or as a forward stop to prevent the shooter's hand from reaching the hot front sight assembly or muzzle. The kit includes one Hand Stop, one Index Panel, one full XTM Enhanced Panel, and one XTM Enhanced Half Panel.Made in U.S.A.
Full Line of Custom KEL TEC SUB 2000 Mods for 2nd Amendment Patriots! KEL TEC SUB 2000 Upgrades and KEL TEC SUB 2000 Parts from MCARBO!